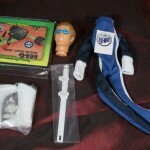 Secret Origins of the 1/6th Scale Superheroes– Which details Mego’s 12 inch Superhero figures and includes a never before seen prototype of a never made Mego 12” hero. 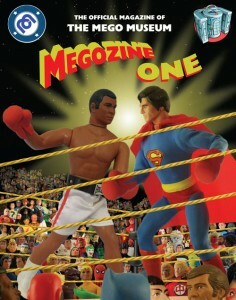 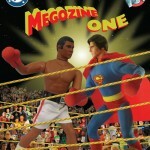 Aw Yeah Megos!- Interview with Eisner award winning Art Baltazar about his passion for custom Mego figures. 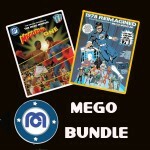 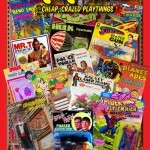 An exclusive never before seen Mego Museum Trading card and a Megozine Sticker!